Comprehensive drawing package that is extremely productive, which can serve as diagramming software (mind map, flowchart, and organizational chart network diagram etc. ), slide maker, homework/exercise designer, and fashion designer and so on. The program's interface is intuitive, similar with Word, with toolbars across the top and shapes libraries on the left. 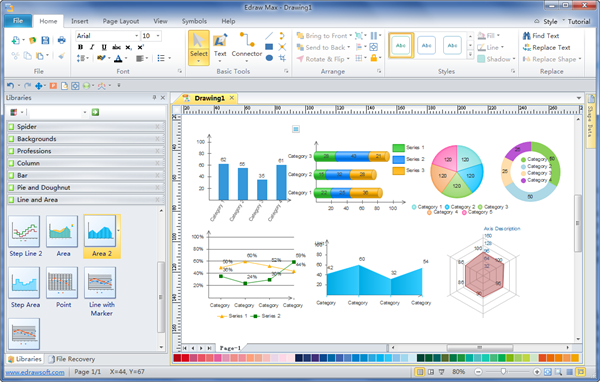 Edraw comes with a wide variety of tools, including pencils, pens, text formatting and so on. It is a great choice for users of all abilities; it's accessible enough that beginners can use it, but it packs enough advanced features to be useful to serious artists. With rich symbols and abundant example, Edraw helps to create diagram of any kind effortlessly faster than ever. In addition to the standard features (rectangles, ellipses, curves, text etc.) that you expect from a vector drawing package, Edraw also has some more advanced features like auto generation, connection and alignment of shapes. 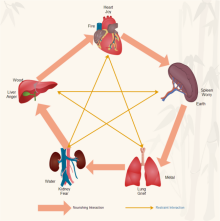 Over 8500 symbols are readily available. All objects, including shapes and text, can be rotated, scaled, sheared, etc. Edraw brings your design visions to life with smart editable shapes, colors and effects. Simple vector drawing tools help you create custom lines, shapes and curves, with advanced tools for targeted drawing, merging and blending. Create some 3D diagrams, apply lighting and surface effects and create eye-catching documents and logos with artistic text, frames and backgrounds. 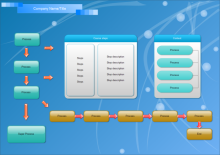 Auto generation and connector tools give you the freedom to create flowcharts, mind map and charts faster than ever. 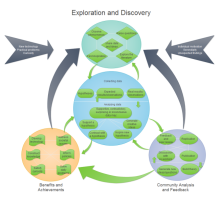 Clip art helps you visualize ideas through drag and drop function. 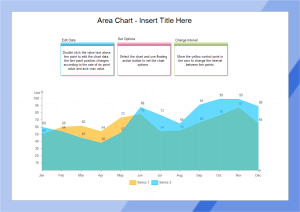 Have a look at this clear and neat area chart example to get more ideas on area chart design. You can also download and make full use of this customizable template. 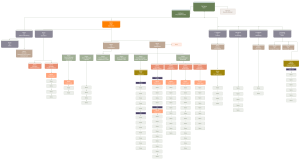 A complicated organizational chart example is provided here. If you are working in a big company and need to construct a detailed organizational chart, this template will definitely help you. 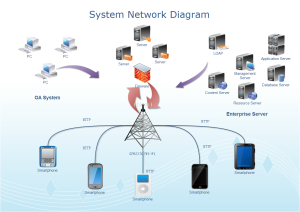 We have built in a system network diagram template in vector format. You can use it anytime you need it for your own designs. 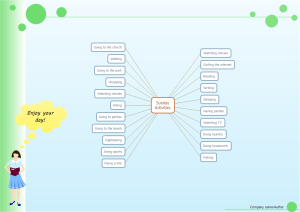 A simple mind map example created by Edraw mind map software that you can use as a template to assist your mind map designs. To sum up, Edraw is an advanced diagramming tool with many automatic functions. 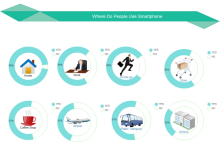 With various diagrams it can generate, you can surely achieve impressive effect with infographics to stand out from the crowd.